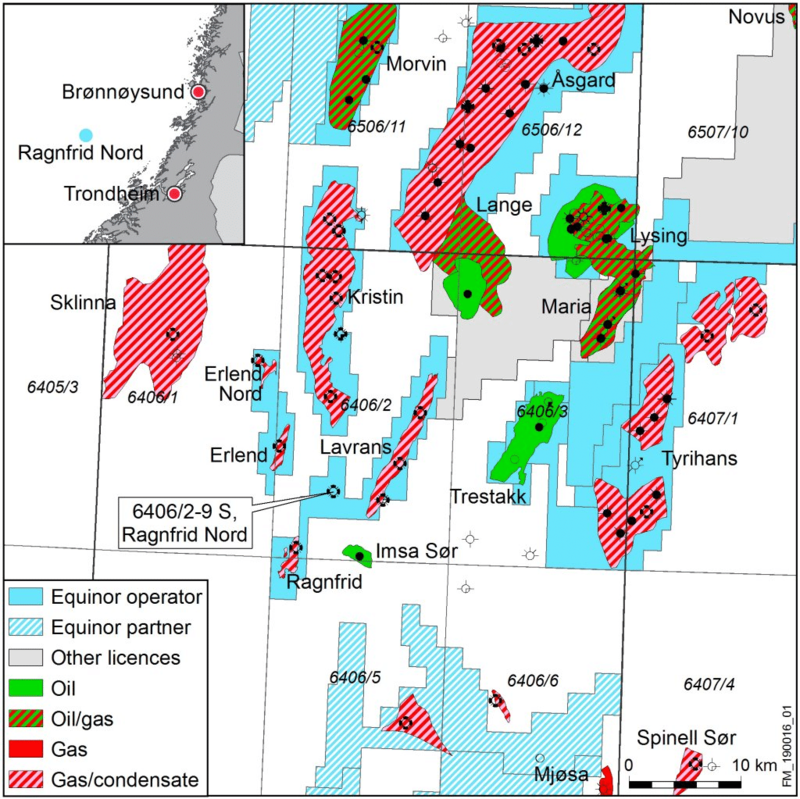 Equinor has together with partners Petoro, ExxonMobil and Total discovered 6-25 million boe gas and condensate in the well 640672-9S Ragnfrid North, which lies south of the Kristin Field in the Norwegian Sea. The well found a gas/condensate column of about 10 metres in the Tofte formation with moderate reservoir properties. The entire Tofte formation totals about 140 metres, of which effective reservoir rocks of 120 metres with sandstone of poor to moderate reservoir quality. The Garn and Ile formation are both water-wet and have a poor to moderate reservoir quality. In the secondary exploration target in the Lange formation, the well encountered several one to five-metre thin gas-bearing sandstone layers, with poor reservoir quality. The uppermost layer has a three-metre gas column. The upper part of the Tilje formation, mainly with poor reservoir quality is water-wet as well. Equinor is pleased with a discovery close to existing infrastructure. 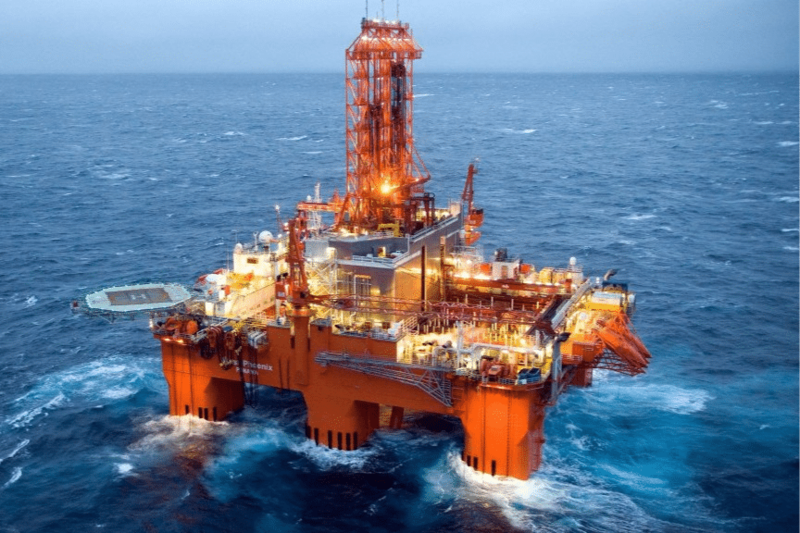 “The Ragnfrid North discovery will pave the way for more drilling operations in this central part of the Norwegian Sea. Together with the former discoveries Lavrans and Erlend East, Ragnfrid North will give a more detailed picture of the potential in this area of the Norwegian Sea,” says Nick Ashton, Equinor’s senior vice president for Norway and the UK. Reservoir: Jurassic sandstone in the Garn, Ile and Tofte Formations. The reservoir quality is generally good, but low permeability in the Garn Formation and flow barriers in the Ile and Tofte Formations contribute to a rapid decline in reservoir pressure. High pressure and high temperature (HPHT).